Hoenir (Old Norse Hœnir, pronounced “HIGH-nir”) is an obscure Aesir god. Mentions of Hoenir in Old Norse literature are highly confused and contradictory. The Völuspá, one of the poems in the Poetic Edda, has Hoenir playing a role in the creation of the first humans, Ask and Embla. There, he appears in a triad comprised of himself, Odin, and Loðurr, a god about whom we know as little as we know about Hoenir. These three gods each bestow a particular quality or faculty upon Ask and Embla. 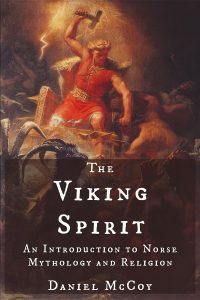 Hoenir’s gift is óðr, an Old Norse word that has no true English equivalent, but was held to be the source of poetic inspiration, intellectual insight, the intoxication of spiritual ecstasy, and the frenzy of the battlefield. Óðr is the root of Odin’s name (Old Norse Óðinn, “Master of Óðr“), so if anyone should be dispensing óðr, it should be Odin. In fact, another Old Norse story, that of the Mead of Poetry, relates that óðr in humans comes directly from Odin. It’s difficult, therefore, to see Hoenir in this passage as anything but an only nominally distinct extension of Odin himself. Another stanza from the Völuspá depicts Hoenir performing divination for the restored gods after Ragnarok has passed. In other stories, Hoenir is mentioned in passing as the travel companion of Odin and Loki. By far the best-known reference to Hoenir in Old Norse literature comes from the Ynglinga Saga, a work of the notoriously unreliable Snorri Sturluson. In Snorri’s version of the Aesir-Vanir War, the Aesir and Vanir tribes of deities exchanged hostages. The Aesir sent the Vanir Hoenir and Mimir. The Vanir were so impressed by Hoenir’s handsomeness that they made him their chieftain. However, Hoenir was dim-witted and indecisive, and was incapable of issuing a decision without Mimir first telling him what decision he should make. When Mimir was away and others pressed him for a decision, he would just say, “Let others decide.” When the Vanir noticed this pattern, they thought the Aesir had cheated them in their hostage exchange, and they angrily beheaded Mimir and sent the decapitated head back to the Aesir. Needless to say, this portrait of Hoenir as a witless, timid idiot is impossible to reconcile with his portrayals throughout the rest of Old Norse literature. These various portrayals of Hoenir don’t present any particularly consistent picture of him. If we toss out Snorri’s depiction of him, the picture becomes less confused, but hardly clear. It seems reasonably certain that he was powerfully connected to Odin and possessed many of Odin’s characteristics and abilities. Perhaps, as in the Völuspá, he was a nominally distinct extension of Odin, like Hermod and various other minor Norse gods. But in the absence of any more substantial evidence, such a suggestion can only be tentative. The Poetic Edda. Völuspá, stanza 17. See, for example, the Reginsmál and Þjóðólfr’s Haustlöng. Turville-Petre, E.O.G. 1964. Myth and Religion of the North: The Religion of Ancient Scandinavia. 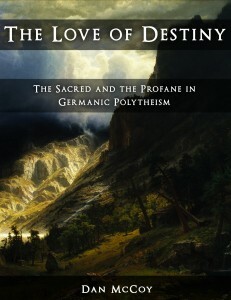 p. 142.